Interviewing skills Archives - Interview coaching in-person or video | Interview Questions – Answered! Photo credit to tim thumb. This entry was posted in and tagged Interview coaching, Interview preparation, Interviewing skills on February 11, 2016 by Alex Freund. How do you know if the candidate will work out or not? Bad hires are expensive based on an interesting survey performed by CareerBuilder revealed that 41 percent of companies estimate that a bad hire costs more than $25,000; 25 percent of companies said a bad hire costs more than $50,000. And the higher the position, the higher those numbers become. Besides such costs, which are extraordinarily high—and which can be avoided—there are other contributing elements: ones measured not in dollars but in lost productivity, impact on team morale, and total time wasted in recruiting, onboarding, and training the new employee. Certainly there are several other negative factors as well. Many would agree that an improved hiring process could minimize if not eliminate altogether such avoidable expenses. So, where does the problem lie? There are two troubling and basic issues that lead to such a bad outcome. The first is the fact that companies don’t attract qualified and very successful employees because the companies’ job descriptions are off-kilter; the descriptions are simply not spot-on descriptions. Some job descriptions are so oversimplified and empty that an employed and successful person is not attracted to them because such a person certainly isn’t going to change from a good job to an unknown, spottily described one. Other descriptions sound so demanding, complex, intricate, elaborate, detailed, and wordy (like this sentence!) that again, happy and successful employees are not going to venture a change, because they know they are not God-like, that they wouldn’t fit, that they don’t have all the extensively laid-out required qualifications, and that therefore they wouldn’t be able to do the job. Now, what are left among those who apply are people who might be in transition and have nothing to lose by applying. Let me hasten to add that I’m not implying that people in transition are lesser. The second issue is with the hiring process. What’s broken here is not enough preparation done up front, even before the interviewing takes place. The process is typically shoddy, superficial, and like puzzle pieces that do not fit; but still, it gets forced together fast because the replacement was needed yesterday. The solution is easy: A team of people who are going to interact with the new hire ought to get together and decide on what type of employee they’re looking for. They must be clear about the traits and skills that are important for the hired candidate to have in order to be successful on the job. 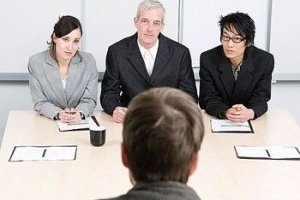 Once an agreement is reached on those issues, the interviewing process can start. Once all of the chosen candidates have been interviewed, the hiring team needs to get together again and thoroughly discuss each candidate. It is anticipated that if the hiring team performs its job in earnest, the best candidate will be selected. I submit that 90 days after hire, the team should get together a third time—this time to evaluate the performance of the newly hired person versus what was expected after their consensus meeting on the candidate they wanted for hire. The consensus meeting and the 90-day evaluation meeting put the team in a position to learn more about its own process and make improvements if necessary. Short of that, bad hiring practices will perpetuate, and the cost of hire will remain high. This entry was posted in Cultural fit, Interviewing skills, job search advice and tagged Interview coaching, Interview preparation, Interviewing skills on February 1, 2016 by Alex Freund. This entry was posted in and tagged interview, Interview coaching, Interviewing skills on December 12, 2015 by Alex Freund.